Ahh, so many beauty lusts, so little time! Here's what I simply couldn't live without over the past week. 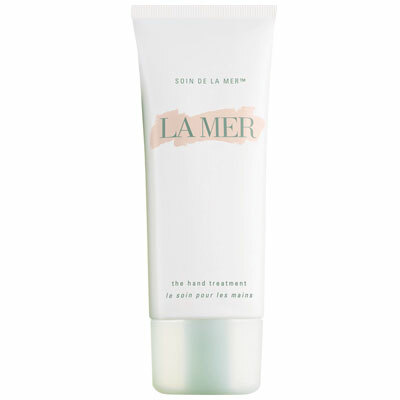 La Mer The Hand Treatment ($75 at blissworld.com): Yes, this is expensive. Yes, it's money I could be spending on lots of other things -- like my cable bill, groceries for the week or even that pair of Steve Maddens you've been coveting. But then my skin just wouldn't feel as soft and silky as it does every time I massage this fabulous cream into it. A dime-sized amount is all I need to turn my hands from dry and ravaged to absolutely, amazingly, unbelievably smooth. Infusions of seaweed and the brand's exclusive Skin Lightening Complex instantly transform my digits -- leaving behind such a silky bed of deliciousness that it's all I can do not to stare at them all day long! 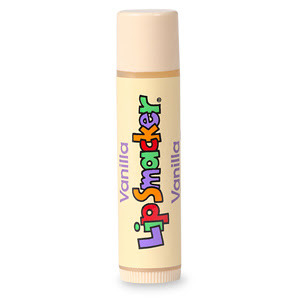 Bonne Bell Lip Smacker in Vanilla ($1.99 at drugstore.com): My obsession with everything Bonne Bell continues! One of the flavors in my recent purchase of the Originals 8 Piece Party Pack (click here to read my full review), this has quickly become a daily staple. The flavor is slightly exotic, slightly comforting and even slightly sensual. I find myself slicking it on about 10 times a day -- every time my lips feel even the slightest bit dry, I reach for this trusty little tube. And at less than $2, who cares if I use it up in less than a month? L'Oreal Voluminous Mascara in Carbon Black ($8.49 at drugstore.com): A mascara good enough to lure me away from my Diorshow? I wouldn't have thought it possible. But at the Total Beauty Summit back in May, I was given a sample of this mascara -- and I am seriously now completely hooked. One coat and my lashes become longer than I ever knew they could. Two and they're undeniably lush and fabulous. I love the color, which is the deepest, darkest black -- and the formula is non-drying and won't clump or flake! It wears beautifully all night long without ever streaking. I'm totally in love. L'Oreal Voluminous Carbon Black is one of my favorite mascaras and is in constant rotation! Goodness! I love, love, love L'Oreal Voluminous.